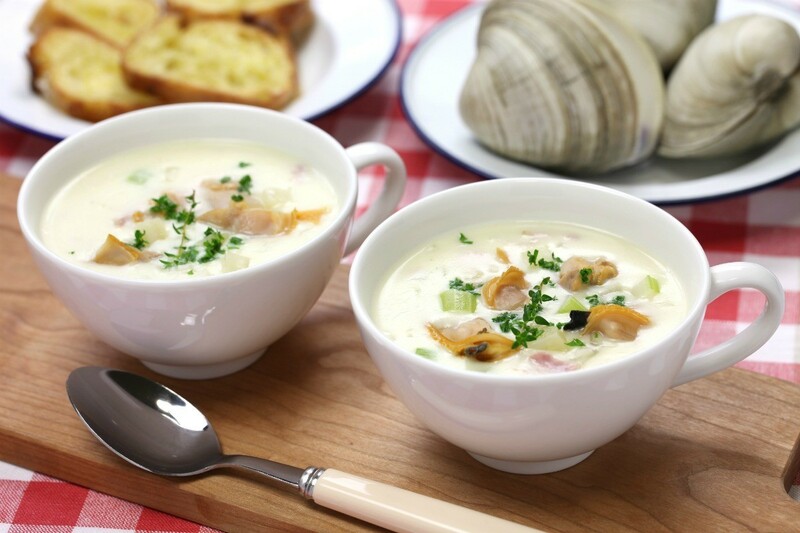 This creamy soup perfectly combines clams and cubed potatoes. If you have never made this soup at home, here are a bunch of recipes to try. This page contains New England clam chowder recipes. My dad would take me clamming, and when we had a good haul he would make a big pot of clam chowder the next day. When I make it now it is like he is in my kitchen waiting to see if I am enjoying his chowder and planning our next trip to the ocean. In a large pan, fry the pork until almost crisp, remove and toss away (bacon can be replaced for the pork, crumble and add to chowder at end); Add onion and saute until lightly browned. 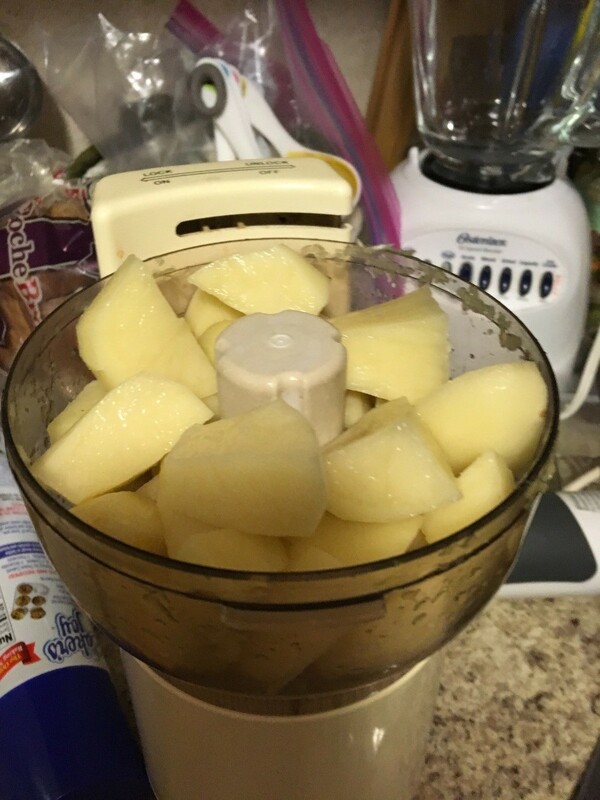 Add potatoes and water. Bring to a boil; reduce heat and simmer until potatoes are tender, about 15 minutes. Stir in the chopped clams and their juices, milk, cream, thyme, salt, and pepper. Heat almost to the boiling point. Homemade clam chowder is the very best! So hearty, satisfying and down right good. 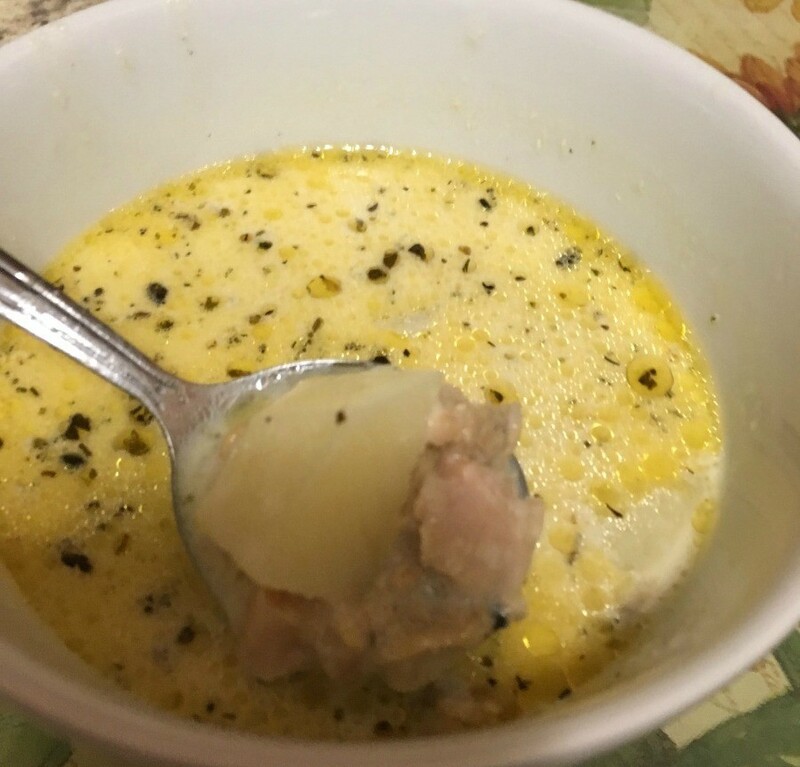 Very easy to make and puts the canned chowder to shame. Using a large stockpot, add olive oil, minced onion, celery and garlic. Stir until tender. Add all seasonings, clams and juice. Add half and half, bring to a boil, then down to a simmer. For about an hour. Add the 2 sticks of butter during the simmer. After the first hour, add the minced potatoes. This will thicken your broth (you won't need to use flour). Add the diced potatoes and put it on simmer. Stir frequently. Serve with oyster crackers. This is yummy. As a girl born and raised in New England, I love clam chowder. I have tried to make it myself several times with so so good results. I can't seem to get it thick enough for my husband and the clam flavor is not quite enough. Help from others would be appreciated. 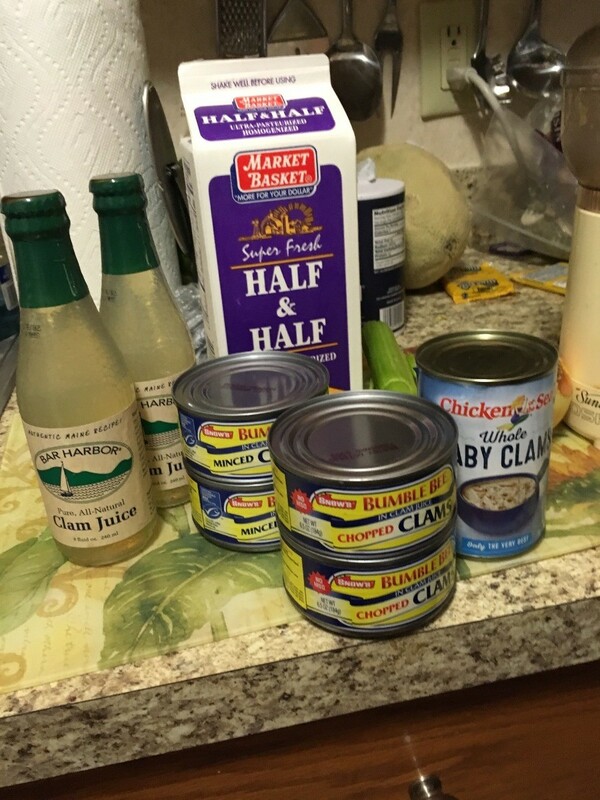 I am looking for a recipe for clam chowder using chopped clams. My husband & I make a wonderful clam chowder. We don't measure ingredients just chop & cook. First we cut up potatoes to boil till just soft. 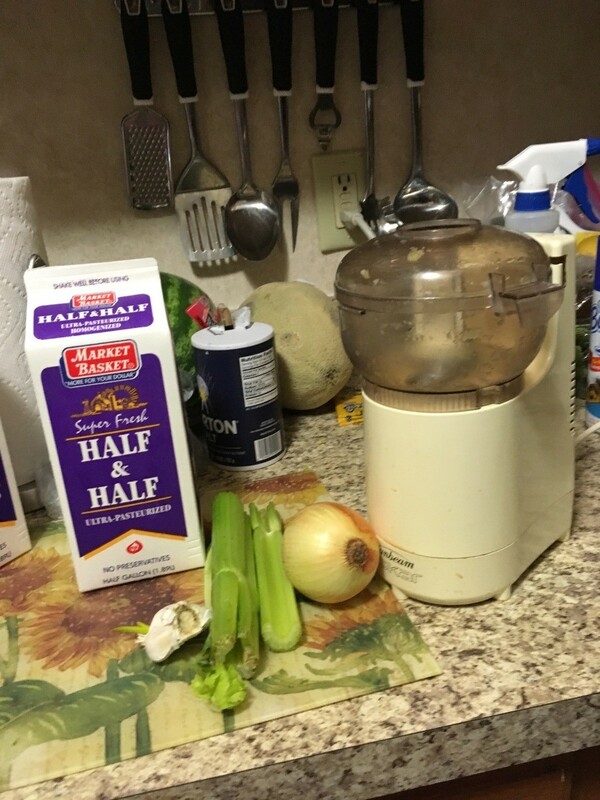 We then chop up onion, celery & bacon. Fry this till soft. When done I add a couple of spoons of flour into the veggies & make a rue. When potatoes are cooked we drain most of the water out. I add the veggie mixture to the potatoes, the clams & juice. Stir together. 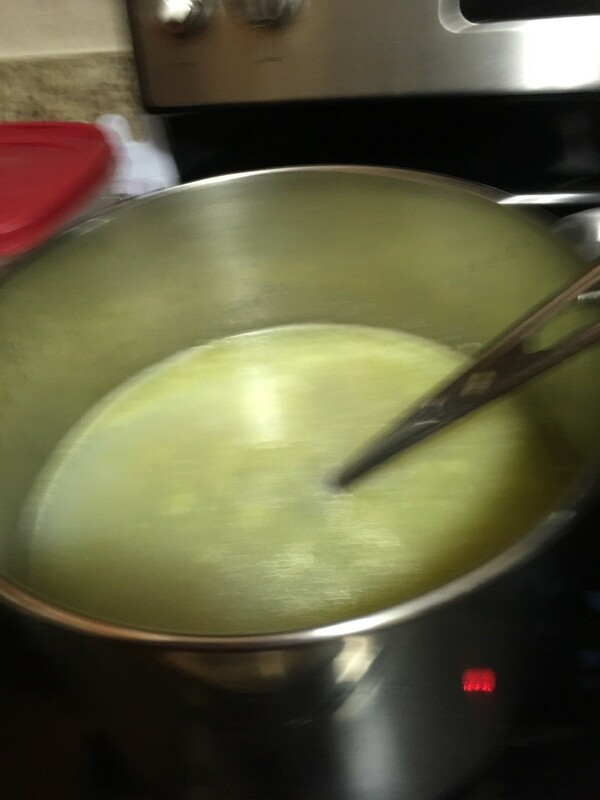 Then add milk or cream to the soup. Add pepper & whatever spices you like with clams. Heat then serve. We enjoy crackers in our chowder. ( this is a basic recipe from my mom. We added the bacon. 2 cans (6.5 oz. ea.) chopped or minced clams, undrained. Cook bacon in medium saucepan until crisp; drain. 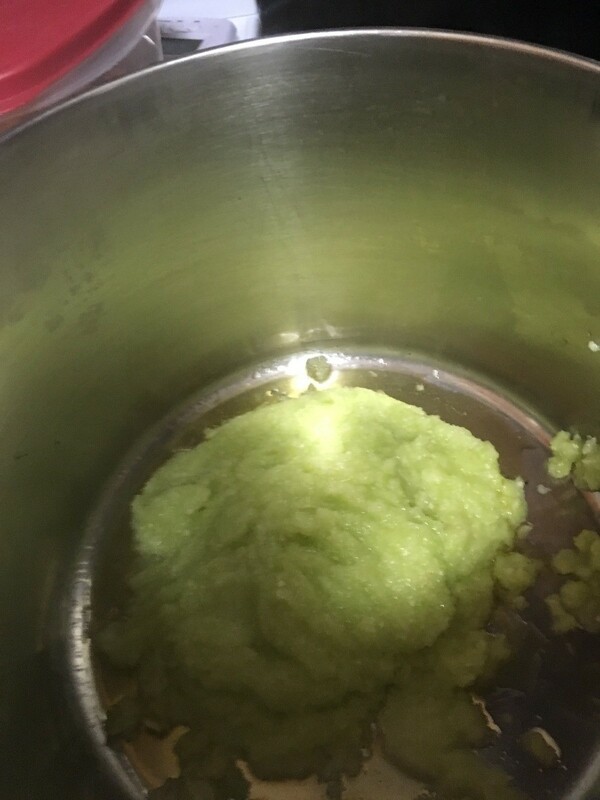 Reserve 2 tablespoons bacon fat. Return reserved bacon fat to saucepan. Add potatoes, carrot, onion and celery. Cook stirring frequently, for 6 to 7 minutes or until potatoes are tender.combine evaporated milk and flour in a small bowl until blended; add to potato mixture. Stir in clams with juice, milk, water, bacon and Worcestershire sauce. Reduce heat to medium-low; cook, stirring frequently, for 15 to 20 minutes or until creamy and slightly thick. Season with salt and black pepper. Best I have ever made. 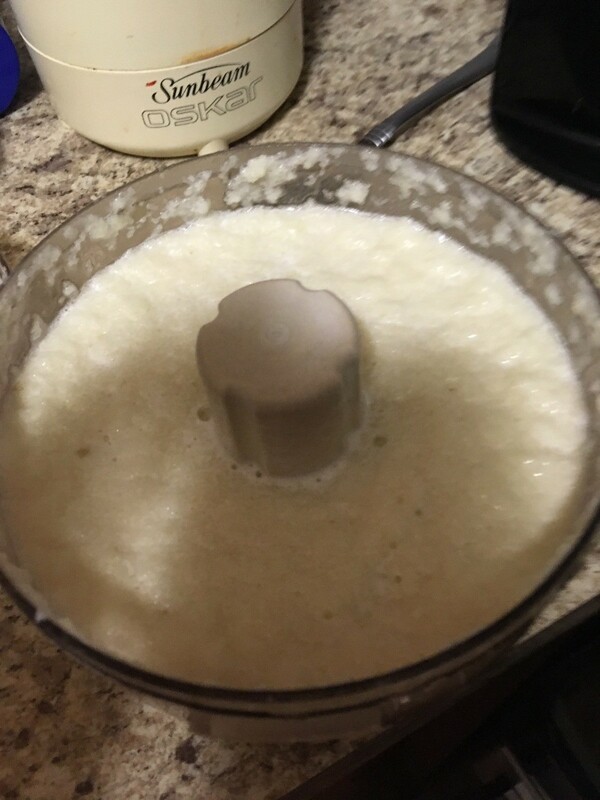 I used one can of evaporated milk and two cans of chicken broth. The chowder was wonderful. Will continue to make it over and over.